Some models of Apple’s new MacBook Pro are suffering from various video-related gremlins including nasty bouts of flickering screens. 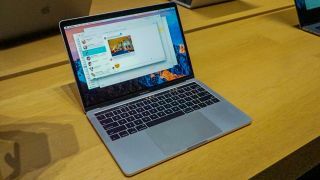 There have been various posts from unhappy users talking about video glitches that seem to be mostly affecting the new 15-inch MacBook Pro, rather than the smaller 13-inch version, according to a report on Ubergizmo. Things such as changes in the shade of colors and the aforementioned horrible screen flicker have plagued some unfortunate laptop owners. Check out a clip of the sort of flicker users are seeing below. Subsequent posters suggest this might be an overheating issue (which it isn’t, according to the original poster), and furthermore that the Radeon Pro 460 GPU has the “most issues” in terms of these video glitches. Although others state that it doesn’t seem to matter which GPU the MacBook in question is running, and indeed these problems occur with integrated graphics and not just the discrete solutions. Ubergizmo also reckons the problem could be something to do with running Adobe software, as this has apparently been a common catalyst for some folks. Have you experienced any graphics gremlins with your new MacBook Pro? If so, let us know in the comments section below. Meanwhile, Apple has yet to make any official response on the matter. We’ll be sure to update this story if we hear anything from the company clarifying exactly what this issue is all about. If these issues do persist, hopefully they’ll be ironed out before next year’s refresh of the MacBook Pro with Touch Bar, with which Apple will offer an option on 32GB of system memory, and the company is also planning to cut prices across the range.